Microlearning—bite-sized components that can stand alone or exist as part of a larger curriculum—is a hot topic right now because of its compatibility with mobile learning. The short bursts of content that define microlearning are a natural fit for mobile devices. It allows learners to access information in the moment and from anywhere. Microlearning isn’t a training panacea, but its flexible, just-in-time utility makes it a valuable and worthwhile tool for any learning organization’s toolbox. Watch now to discover some big ideas on how to deliver small learning. As a learning solutions manager for Caveo, Barbara Opyt provides oversight and support for a team of instructional designers. She has previously held senior management roles in corporations, higher education, and startup technology companies, implementing award-winning programs for technical and business audiences. She holds a master's in curriculum and instruction from the University of Texas at Austin, where she specialized in adult and organizational learning. Based in Nashville, Opyt was a featured presenter at the 2017 Bank Trainers Conference. 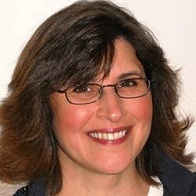 Tammy Dietz is a writer, instructor, instructional designer, and editor. A learning solutions manager for Caveo, she has more than 15 years’ experience in learning & development, with a client list that has included AT&T, Microsoft, Netflix, The Bill and Melinda Gates Foundation, and Bellevue College. 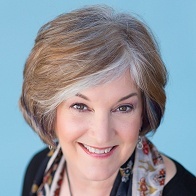 Based in Washington state, Dietz holds a master's degree from Pacific University, and she was a presenter at ATD Puget Sound’s Learn-a-Palooza 3.0 conference.